This entry was posted in general, julie on March 31, 2013 by jules453. 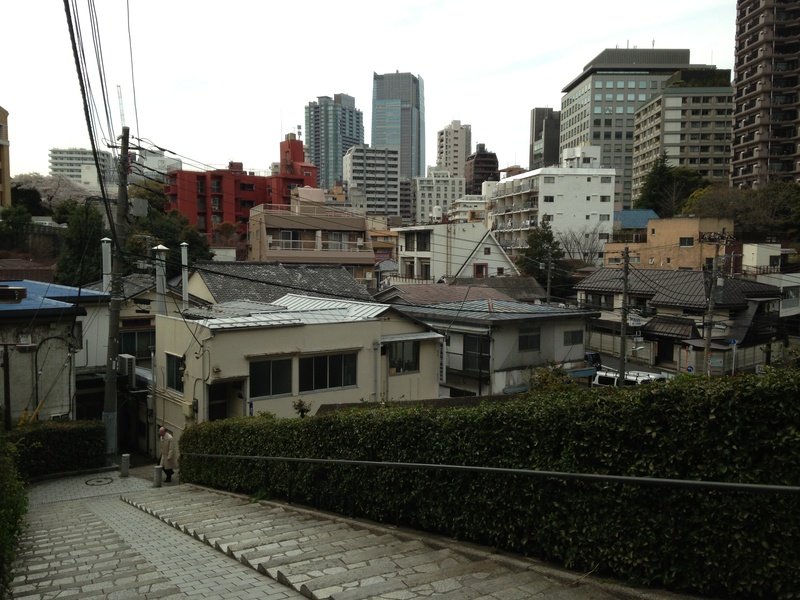 Today’s exploration outing took us to Shinjuku, known to be the “crafty” part of town. We were only able to visit 2 stores, Yuzawaya (floor 11) and Tokyu Hands (floors 2-8) of the Takashimaya Times Square building. There was everything! But that was not the best part of the day. The best part was in the basement of the building: food booths, about 50-80 of them, packed in like convention booths in the Grand Ballroom. All types of food booths-Japanese, Chinese, European; tea and juice samples, and, of course, the patisseries. There was one booth that stood out from the rest: the extreme fruit. 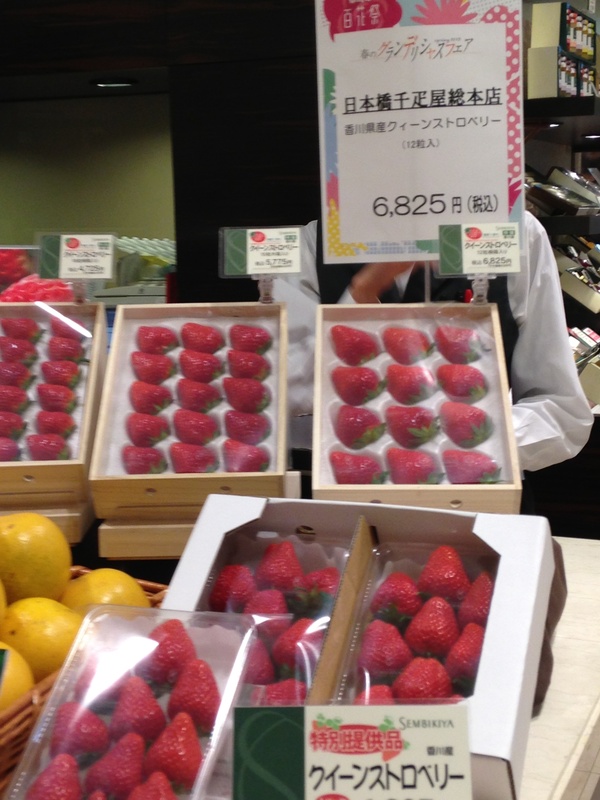 The box of 12 strawberries (top right-hand corner) costs $72 USD. *Also note that a small French food vocabulary is helpful in this city. This entry was posted in general, julie on March 30, 2013 by jules453. 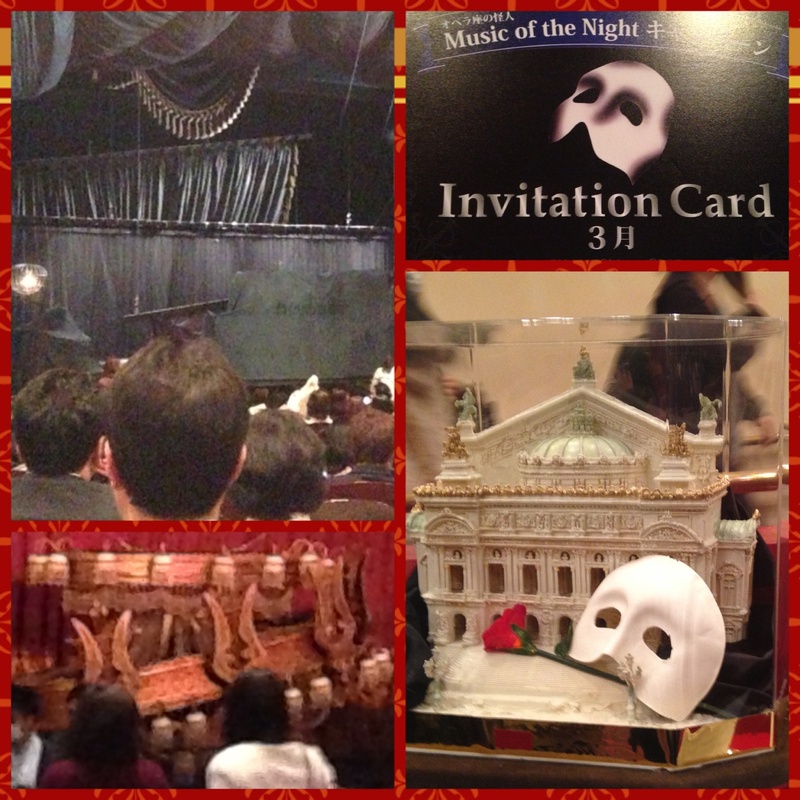 Tonight we went to see The Phantom of the Opera. All of the show was in Japanese with exception of three phrases: “Angle of Music,” “The Phantom of the Opera,” and “Christine, I love you.” The singing was incredible, the music is pure beauty, the set was fantastic, and after a while you forgot it was in a foreign language. Unlike most Andrew Lloyd Webber shows there was no finale but they made up the time in about eight curtain calls. Everyone had a spectacular time and I cannot wait for when we see another show! This entry was posted in annie, general on March 29, 2013 by jules453. There seems to be a new sandwich in the closest 7-Eleven. 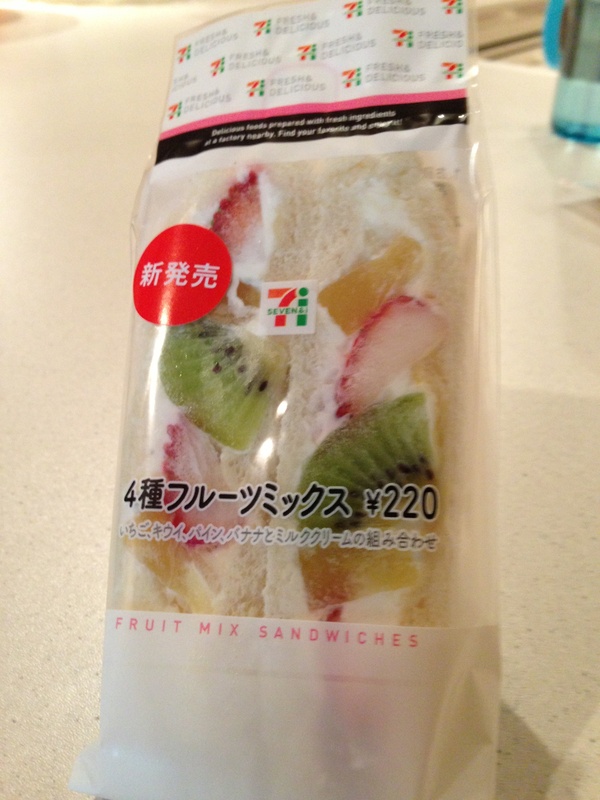 It is a fruit sandwich with bananas, kiwis, strawberries, and pineapples. It tastes exactly like a fruit salad in between two prices of de-crusted white bread. It still seems weird that we can get sandwiches that are fresh enough to eat and won’t make you sick. This entry was posted in food, meg on March 28, 2013 by jules453. We decided to take a different path to the Tokyo American Club today. 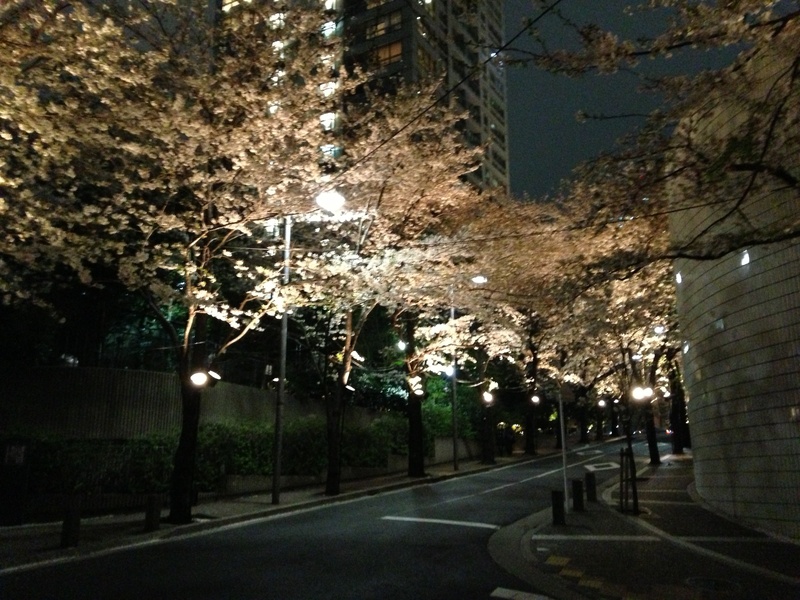 We followed the cherry blossoms around the corner and headed west. Passing between high-rise modern office and apartment buildings we came across a little section of preserved history, heritage, and tradition. Much of the city’s charm lies in these hidden pockets. This entry was posted in general, mike on March 26, 2013 by jules453. Little did we know when we selected our apartment last November that we would live on a street that is a well-known Sakura viewing area. Just around the corner from us is “the bridge.” The trees are lit up just for this season. 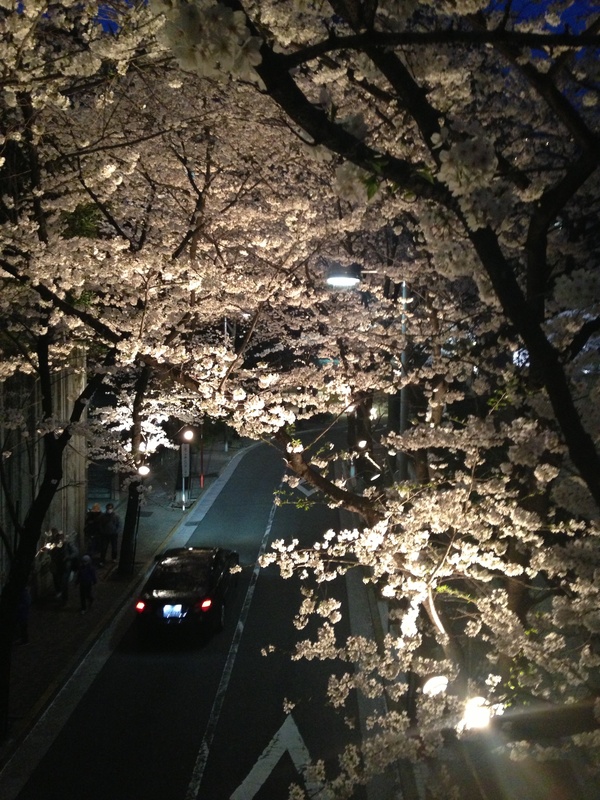 When we first learned that we were going to move here, I was looking forward to the cherry blossoms, and they would be “pretty” and “nice to see.” But, honestly, the experience is overwhelming — the trees are simply enchanting. This entry was posted in culture, julie on March 23, 2013 by jules453.